Situated by the sea, this hotel is steps from Ogunquit Memorial Library and Marginal Way. Ogunquit Beach and Perkins Cove are also within 15 minutes. 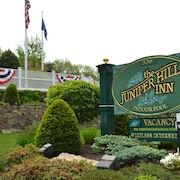 Situated near the beach, this hotel is within a 10-minute walk of Ogunquit Beach and Marginal Way. Perkins Cove is 1 mi (1.5 km) away. 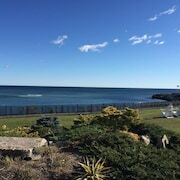 Situated near the beach, this hotel is within a 10-minute walk of Marginal Way and Perkins Cove. Ogunquit Beach is 0.5 mi (0.9 km) away. Property is within walking distance to town and beach. Property is clean, roomy and staff is welcoming. Always stay at the Gorges Grant and never disappointed. The location was excellent, the room comfortable, and the staff friendly and helpful. Where to find Ogunquit hotels near an airport? Where can I find hotels in Ogunquit that are near tourist attractions? 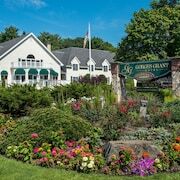 If you're searching for luxury or budget accommodation in Ogunquit, it's good to know that there's a myriad of options. If you are looking to stay within 0.1 kilometres (0.06 miles) of downtown Ogunquit, Expedia offers at least 48 hotels in that area. 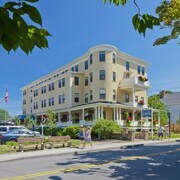 Wise travelers who fully appreciate the importance of finding a hotel close to the action and bright lights of the city's heart should check out the latest deals at the Gorges Grant Hotel and The Colonial Inn, all of which are located within a 1-kilometre (0.6-mile) radius of Ogunquit's downtown area. The The Milestone, Pink Blossom Family Resort and The Ogunquit Inn are useful choices for those travelers seeking more economical accommodation. 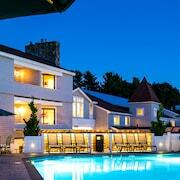 The The White Barn Inn And Spa is situated 15 kilometres (10 miles) from the main part of Ogunquit. Another option is the Hidden Pond, which can be found 20 kilometres (14 miles) away. 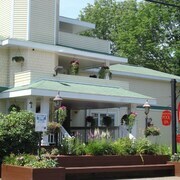 The The Tides Beach Club and also the Atlantic House Inn are other alternative accommodation options around Ogunquit. For visitors who would like to enjoy more of the beaches in this region of United States of America, you could plan extra nights in other parts of Portland - South Coast. Enjoy hiking or venture out to see the region's visitor attractions. Suitable accommodations are available. Kittery is 19 kilometres (12 miles) to the southwest of Ogunquit and is home to the Kittery Outlets and Fort McClary State Park. Should you wish to stay in Kittery, check Expedia's booking pages for the latest deals at the Sheraton Portsmouth Harborside Hotel and Residence Inn by Marriott Portsmouth Downtown/ Waterfront. 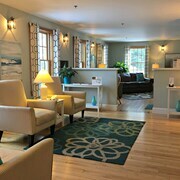 Or stay in Wells, 9 kilometres (6 miles) to the north of Ogunquit, where you'll find the Americas Best Value Inn & Cottages and Coast Village Inn & Cottages. While in Wells, you might like to visit the Moody Beach and Wells Reserve at Laudholm Farms. Just because you are on vacation, doesn't mean you can't enjoy your obsession for sports. Verizon Wireless Arena is 75 kilometres (47 miles) to the southwest of Ogunquit. Those sports fans wanting to stay close by can choose from the Hilton Garden Inn Manchester Downtown or the Radisson Hotel Manchester Downtown. For those travelers arriving or departing via Portland International Jetport Airport, you can book a room at Marriott Portland at Sable Oaks, or Fleetwood House Bed & Breakfast, which are both close. What are the most popular Ogunquit hotels? Are there hotels in other cities near Ogunquit? 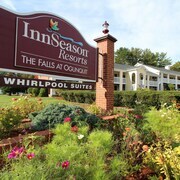 What other types of accommodations are available in Ogunquit? Explore Ogunquit with Expedia.ca’s Travel Guides to find the best flights, cars, holiday packages and more!